FloatPac is pleased to announce the release our new Flexitank range of onion tanks in twenty standard sizes from 1,000 litres (264USG) to 120,000 litres (31,700USG), suitable for holding drinking water, waste water, RO water, irrigation water and many other applications. 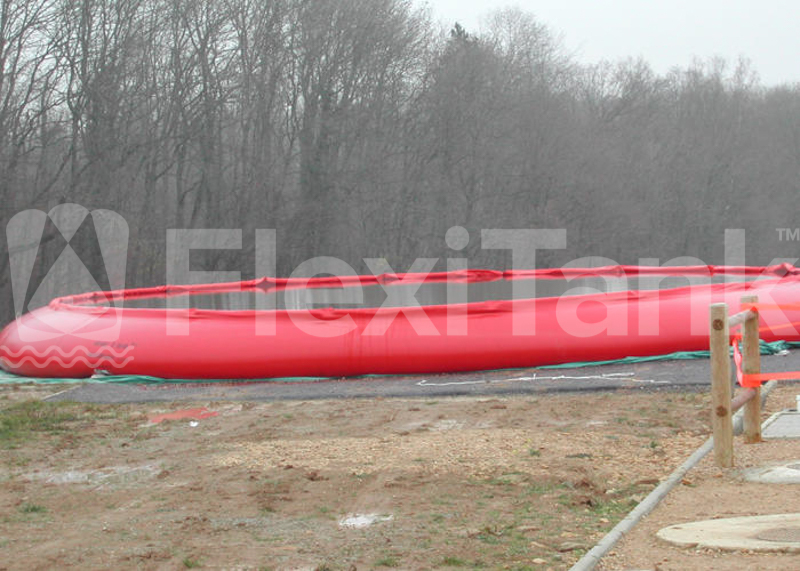 Available in a range of fabrics to suit different applications, Flexitank onion tanks fold down to 1/10th of its filled size for ease of transport. A Flexitank onion tank also saves an immense amount of money and effort in installation – flat sites require very little preparation, with no need for slabs or rigid, permanent structures. In addition to our large format pillow tanks, tank liners, floating fish farm liners, and framed flexible tanks, this new range of onion tanks certainly helps complete our global flexible liquid containment offer. We believe the 120,000 litre Flexitank onion tank is the largest available anywhere in the world. Another benefit is that the carbon footprint of any Flexitank onion tank is extremely low. Over 1 million litres of packed water storage onion tanks can be transported in a 20 foot container anywhere in the globe. In the same space, a traditional rigid plastic tank can only ship about 30,000 litres of storage or about 250,000 litres of steel panel tanks. 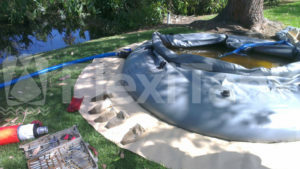 Designed and manufactured in Australia, to specific fabric specifications, which Flexitank has exclusive access to, the range of onion tanks are available for dispatch worldwide and are very readily available. Significantly reduced lead times are available, when compared to traditional tank offerings. With a general lead time on a 120,000 litre onion tank of 3-4 weeks, we can manufacture, test, and dispatch onion tanks, as well as pillow tanks and the like, in time frames that the more traditional tank manufacturers can only dream of. To discuss our new range of onion tanks and how they can save you money, time, carbon emmissions and headaches, contact us through our website, email us, or call +61 (0) 3 9548 4700 to discuss!